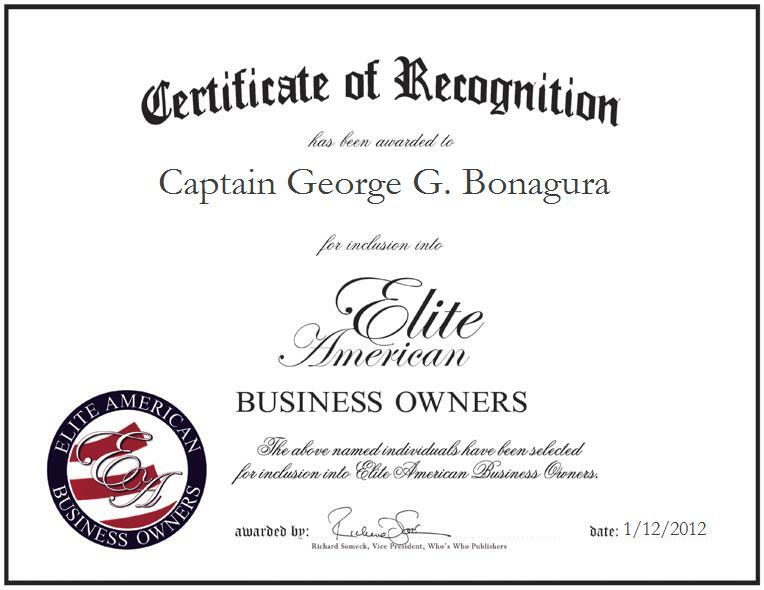 Captain George G. Bonagura is the owner of Home Repair Co., a contracting company offering home renovation and restoration, shipbuilding, woodwork, and Grand Banks transportation services. With a strong woodworking background and more than 52 years of professional experience, Mr. Bonagura oversees all aspects of wood and marble construction, including the modification, repair, renovation and restoration of old and new ships. Mr. Bonagura has worked on digs in Massada and Armenian cave churches, sailed around the world, worked in support of the deep freeze expedition to the South Pole, and raced Grand Prix cars and motorcycles. As he grows older, so does his responsibility to inspire. He tries to set an example. If he has achieved anything, he thinks it is that most people find him to be a good and decent man in a world of takers. He views himself as a successful man, not in terms of achievement or monetary gain, but in effort. When he asked his grandfather how to be successful, his grandfather replied, “The measure of a man is not how much money he has accumulated or what he has attained, but whether or not he has tried at all.” Mr. Bonagura has tried to live a full life. Although he has not always succeeded in his endeavors, he has tried. He believes that life is a series of moments and advises that one cherish all the good moments in one’s life, and not allow the bad ones to control one’s life. He is indebted to his grandmother, who expected the best from him; his father and mother, who taught him that love can last forever; his wife, who has given him a true understanding of how deeply love can be felt; and those who have helped him get where he is today. He began flying at the age of 5. He has 12 grandchildren and one great-grandchild.